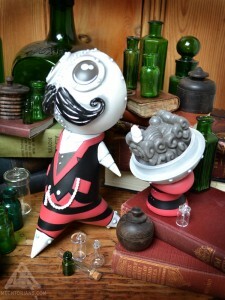 Humphrey Mooncalf had a reoccurring problem with his Travithick No. 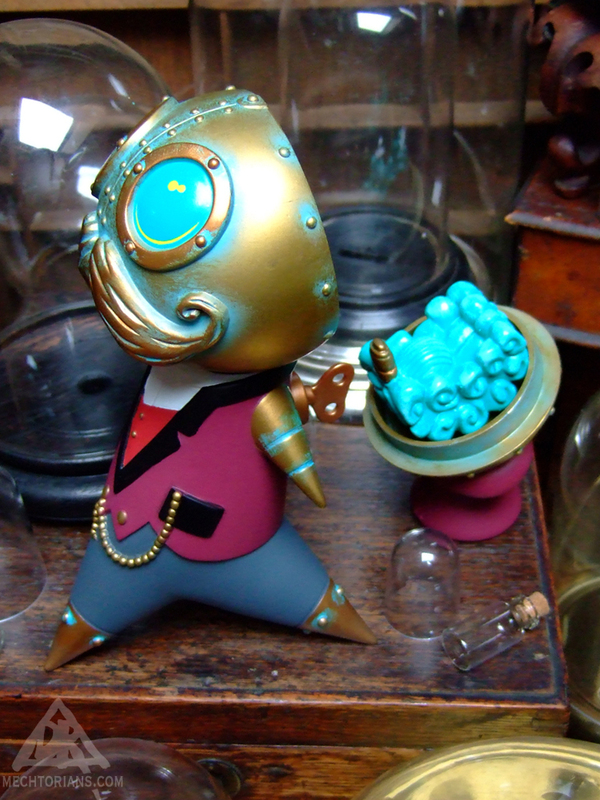 4 Nano-clockwork brain. Repeated trips to the watch-smith proved a great success. The pain held at bay by loosening his cranial rivets. 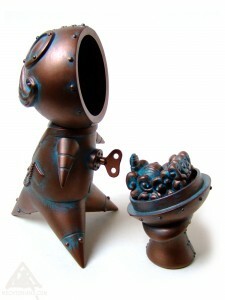 This however means that he can no longer look up. Such a shame, as he does so love the moon. 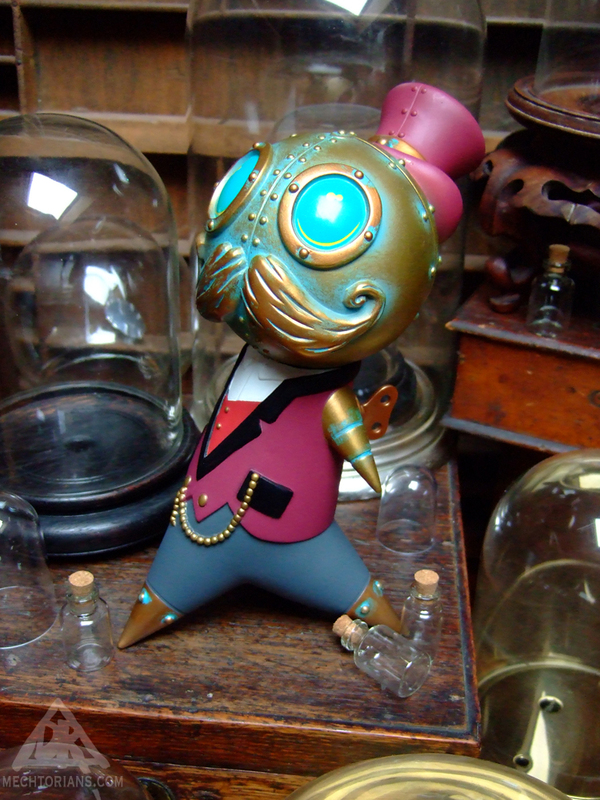 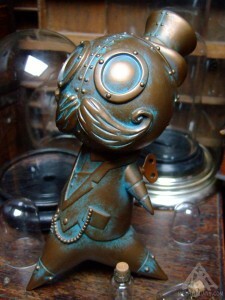 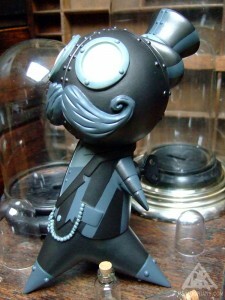 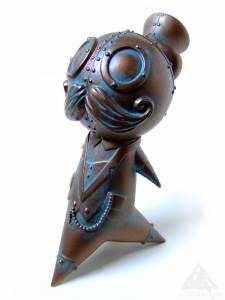 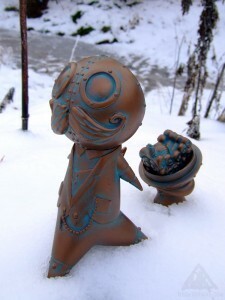 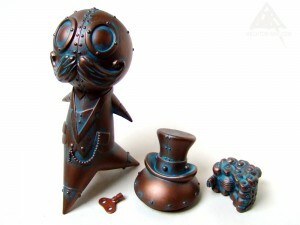 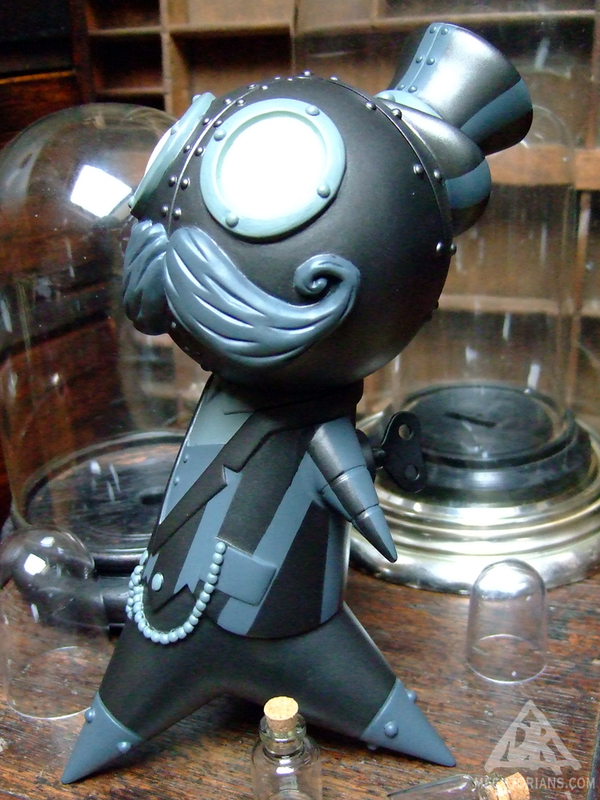 Production Vinyl toy by Pobber. “Dapper” Red – – – 250 pieces. 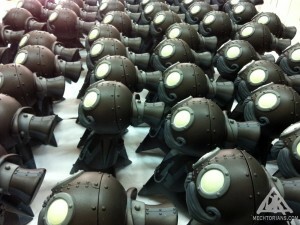 “Nocturnal: Black & Glow (Designer Con Exclusive) – – – 150 pieces. “Verdigris” (Pobber website exclusive) – – – 100 pieces. 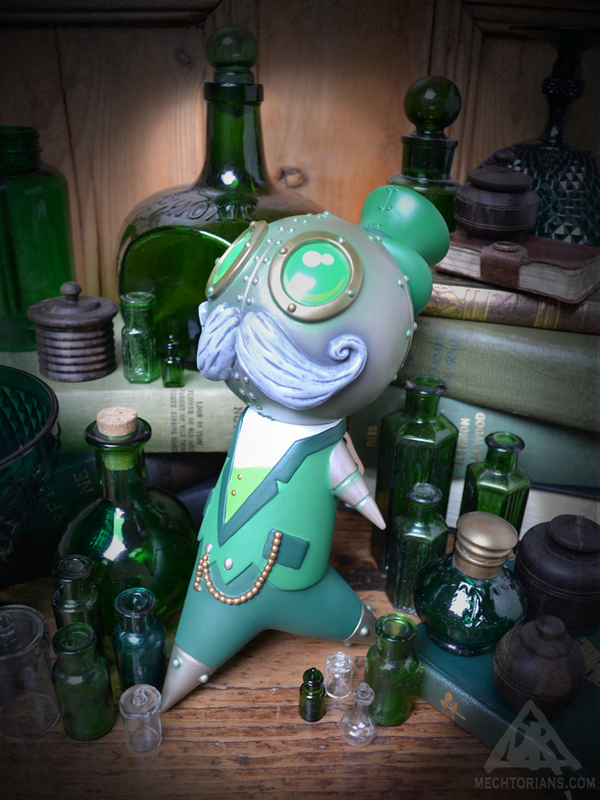 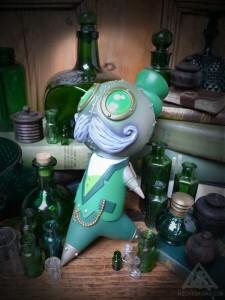 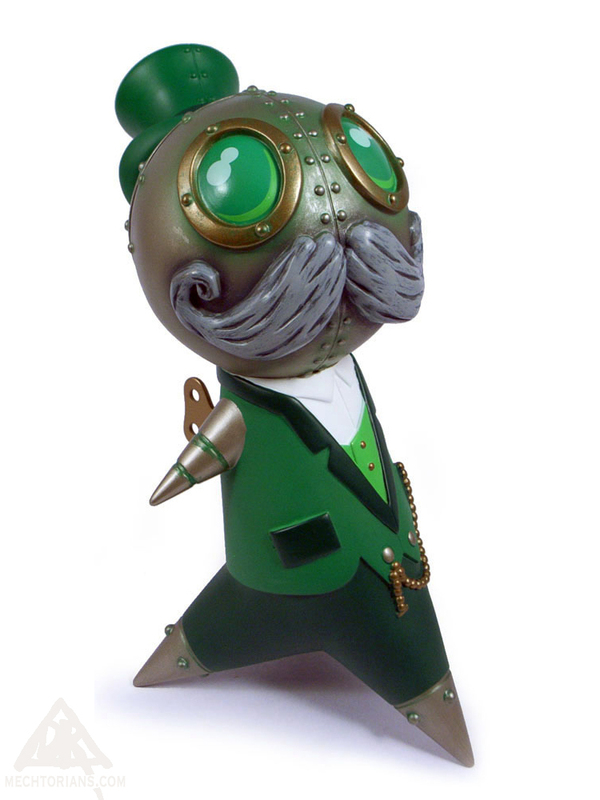 “Leprechaun” Green (Tomenosuke Japan Exclusive) – – – 70 pieces. 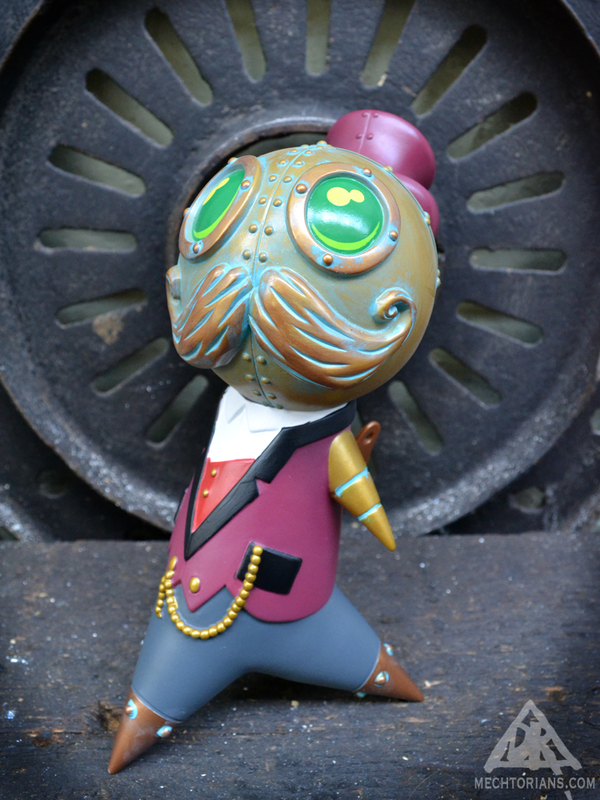 “Entertainer” Striped (New York Comic Con Exclusive) – – – 100 pieces. 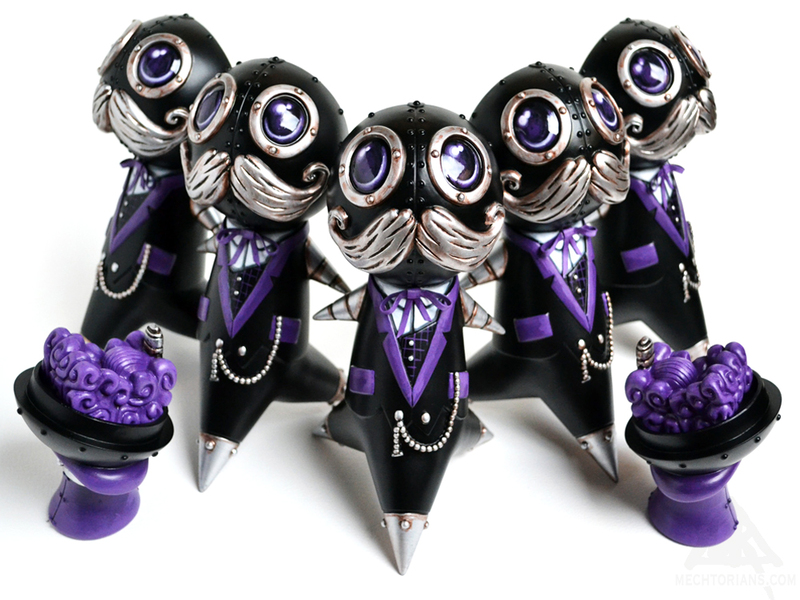 “Mourning” Black & Purple (Hand Painted Custom) – – – 6 pieces.